Gorgeous 35mm print from Quentin Tarantino's personal archive! Two hitmen out to retrieve a suitcase stolen. An aging boxer paid to lose his next fight. A couple of young lovers and small time thieves who decide they need a change of venue. Their lives are woven together in Quentin Tarantino’s electric & exhilarating Pulp Fiction. 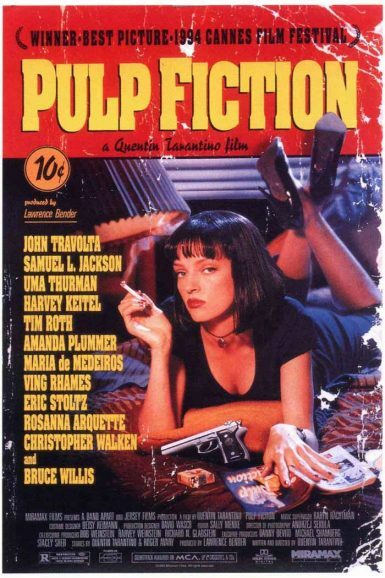 See the full set of German lobby cards for Pulp Fiction in Tarantino’s Vault.